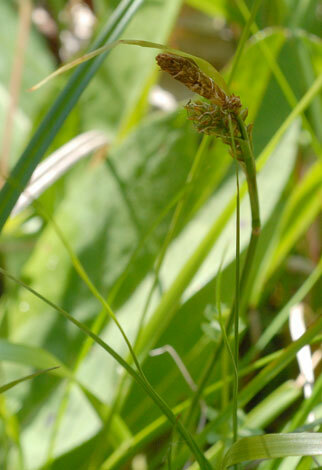 This is a sedge often noticed in the spring when the male flowers are covered in bright yellow anthers. At this time of year it becomes an anonymous part of the grassland which takes a good botanist (not me) to find. This was discovered in a field on a WFS trip to the West Pennine Moors. It is actually quite a common sedge being found almost everywhere in the British isles except for the north of Scotland where it is scarce.